Malvinder Mohan Singh is an Indian businessmen with the Fortis health care , Ranbaxy and Religare business. He is a former chairman and CEO of Ranbaxy Laboratories, an Indian unit of Japanese drugmaker Daiichi Sankyo, who resigned in 2009 after Ranbaxy posted losses and after Daiichi Sankyo decided to get more actively involved in the newly acquired Indian unit. 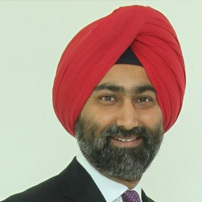 Malvinder Mohan Singh is one of the son of Dr. Parvinder Singh and the grandson of Bhai Mohan Singh, the founder of Ranbaxy. He and his brother Shivinder Singh, who in 1999 upon the death of their father inherited their family’s 33.5% stake in Ranbaxy, are among the twenty richest Indians. Singh attended The Doon School, Dehradun and graduated in Economics from St. Stephens College, Delhi. He also received an MBA from Duke University’s Fuqua School of Business.